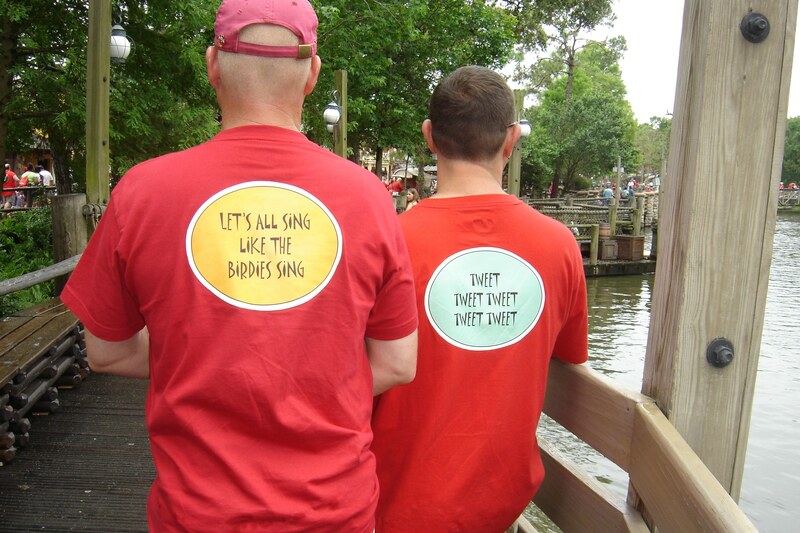 Larry and Dennis' fabulous Tiki Room shirts! This is the queerest episode ever of Those Darn Cats! 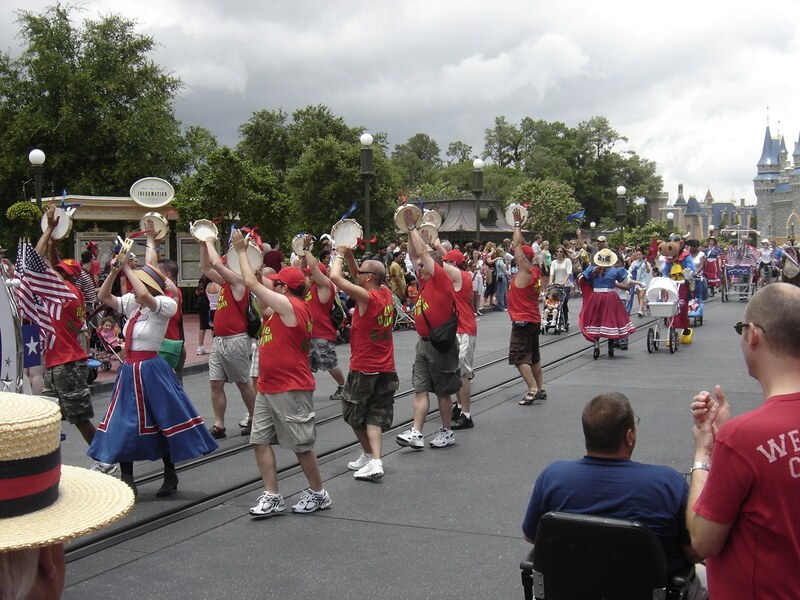 Jennifer is joined by our listeners Danielle, Larry, and Dennis to talk about Gay Days at Disney Parks, to celebrate last weekend’s Gay Days Orlando. So, it deserves the queerest show notes ever. Want to know more about the history of Gay Days? There’s a great essay in the book Rethinking Disney: Private Control, Public Dimensions, now on Google Books. I'm not sure they're feeling festive enough. And yes, things do sound like they get quite a bit steamier at the after-hours, private parties. Guess they spend a lot of time in the gym, eh? 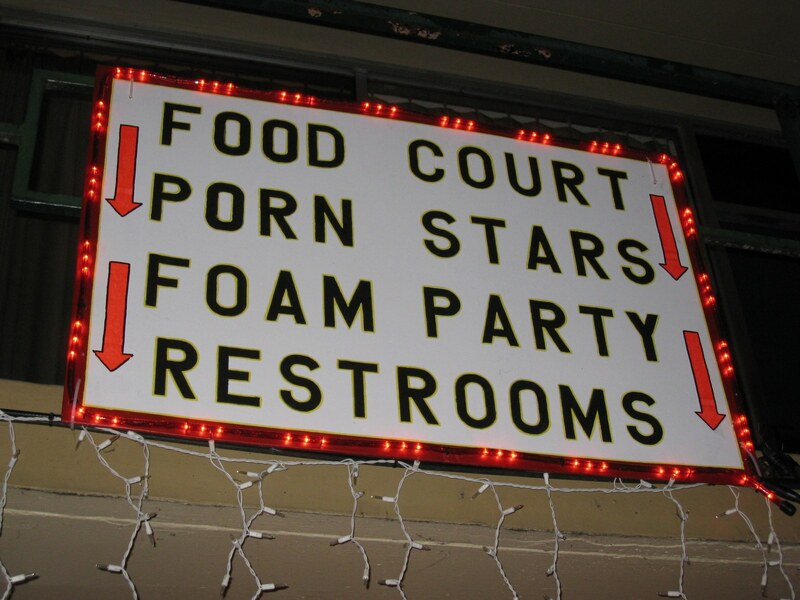 Foam party? I'd expected everything else, but . . . This entry was posted in Gay Days by Jennifer. Bookmark the permalink. I wore my red shirt this weekend even though I haven’t been since 2004. And everybody, if this topic’s close to your heart, you might want to check out my column last Friday at StudiosCentral, Pixie Dust for Gay Days! There’s even an interesting thread in the comments there. Please will the owner of these images get in touch with me via my website ASAP? I would love to use some of the images to accompany a feature I wrote on Gay Days at Disney for a major online travel magazine. Need to get permission immediately as deadline is Friday! Hi Gillian, those are Larry’s pictures; I’ve dropped him a note, to bring your comment to his attention.